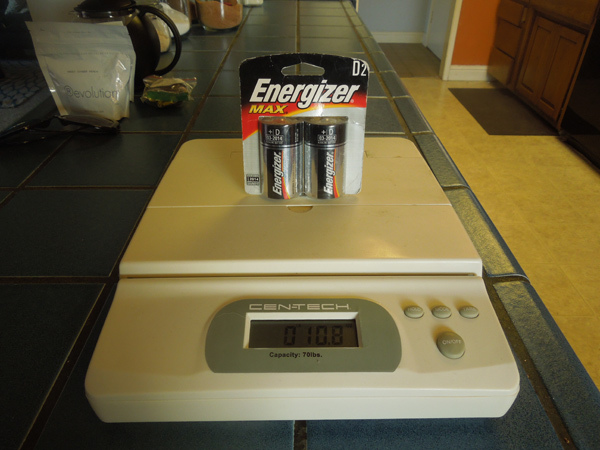 How Much Does a a pack of D batteries weigh? Forget estimates. This is the real weight of a a pack of d batteries. a pack of D batteries: 11 oz. A two pack of D batteries.